Quartz Countertops | 3 Great Brands! Treat yourself and your kitchen to the drop-dead gorgeous kitchen countertop you've always wanted. Quartz countertops are the crème de la crème of kitchen countertop surfaces. They are sustainable, ultra-durable, sanitary, and come in a wide variety of colors and patterns. Many people appreciate their ability to mimic, and even surpass, the beauty of granite and other natural stone products. 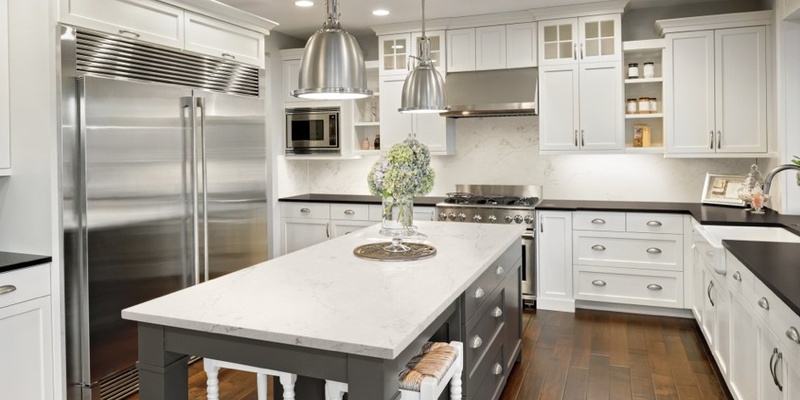 Quartz's stylish designs are the result of post-consumer product recycling, allowing for virtual perfection that would never be possible with natural granite or marble slabs. 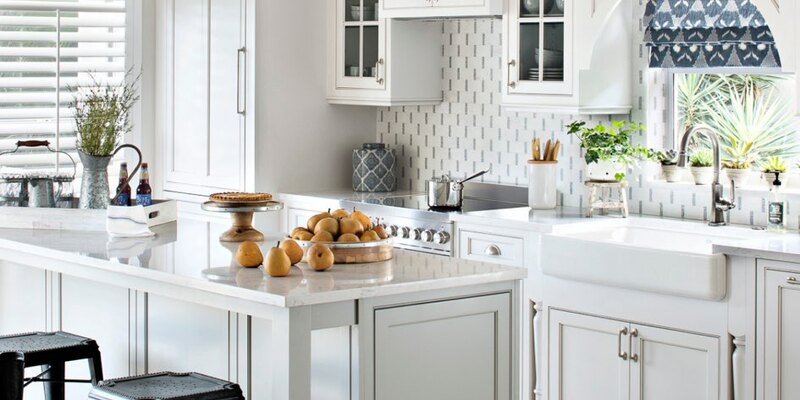 If you’re in the market for a countertop surface that is luxurious, eco-friendly, and can handle the wear-and-tear of a high volume kitchen with little to no maintenance—consider quartz your go-to countertop material! 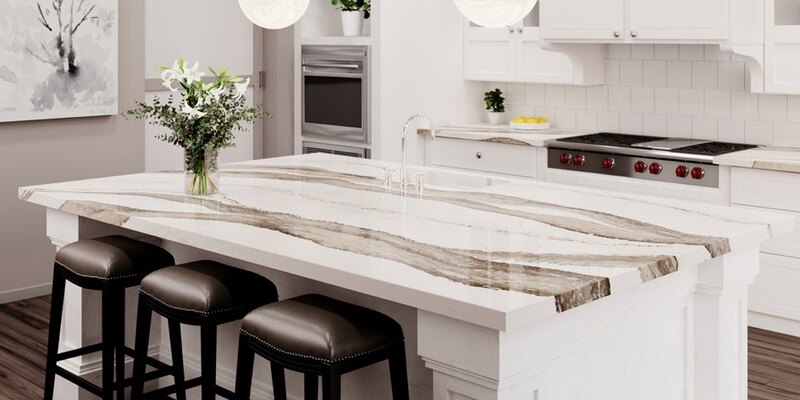 Cambria® quartz countertops have three standout features: their products are almost entirely mined in North America, all of their countertops are made right here in the USA, and their visual-appeal is unrivaled. Committed to sustainability, Cambria® recycles 100% of water used during their manufacturing and scrap waste into local road construction projects. Cambria® countertops are certified by the National Science Foundation as a food-safe preparation surface, suitable for even commercial kitchens. 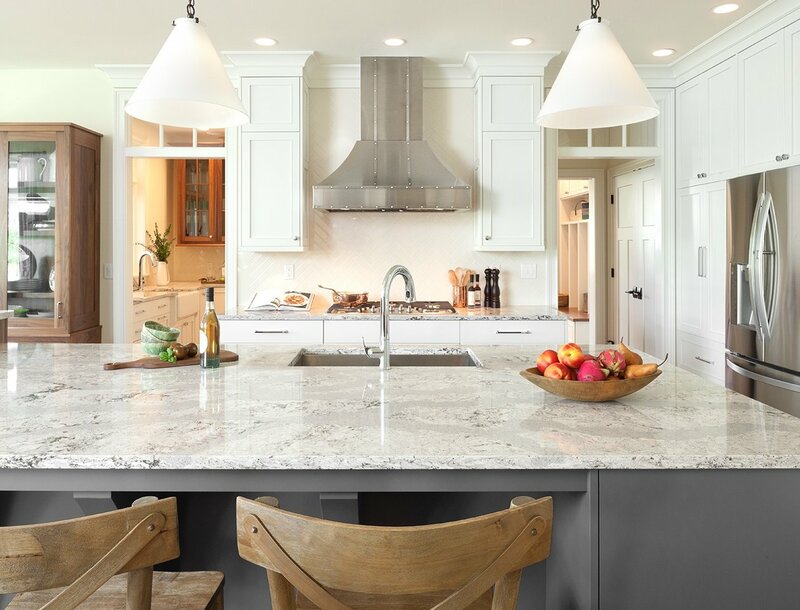 Corian® Quartz countertops offer the same durable, maintenance-free, and sanitary benefits of other quartz countertop products—at a budget-friendlier price point. Corian® Quartz countertops tend to be more affordable than other similar brands, without sacrificing style or beauty. Their Terra Collection is eco-friendly, featuring quartz countertops that include 25% post-consumer recycled glass content. 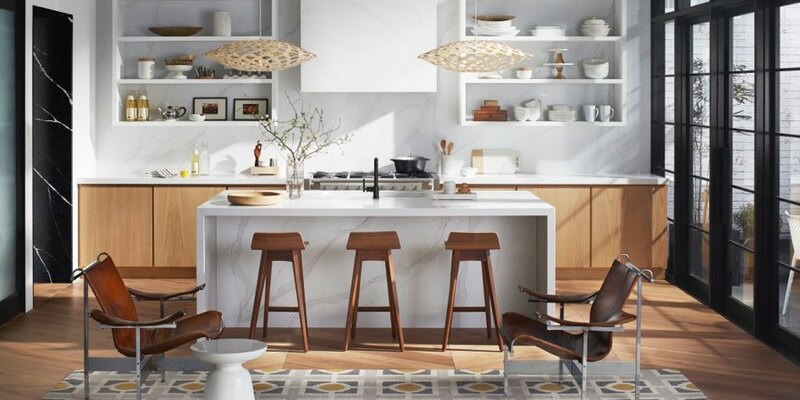 Silestone is also a non-porous, wear-and-tear resistant quartz kitchen countertop surface—and their prismatic designs are nothing short of dazzling! 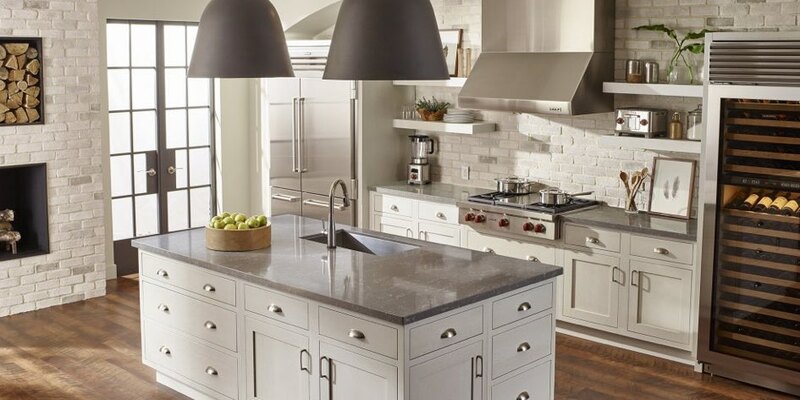 Silestone® offers three different finish options for their quartz countertops—each with their own unique texture, feel and appearance. They are the only quartz countertop manufacturer to include a built-in anti-microbial product which fights odor-causing bacteria, mold, and mildew. 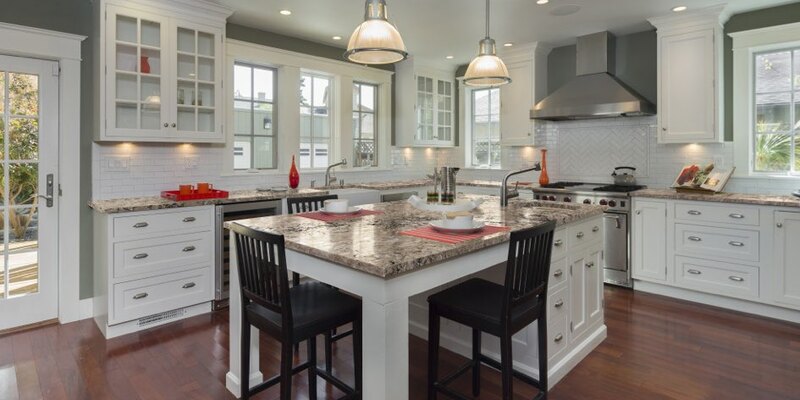 Quartz countertops are more environmentally friendly than other stone surfaces. They use 93% quartz stone—one of the most abundant minerals on Earth—and qualify toward LEED certification. Quartz is the 4th hardest mineral on the planet, only preceded by Topaz, Corundum, and Diamonds. 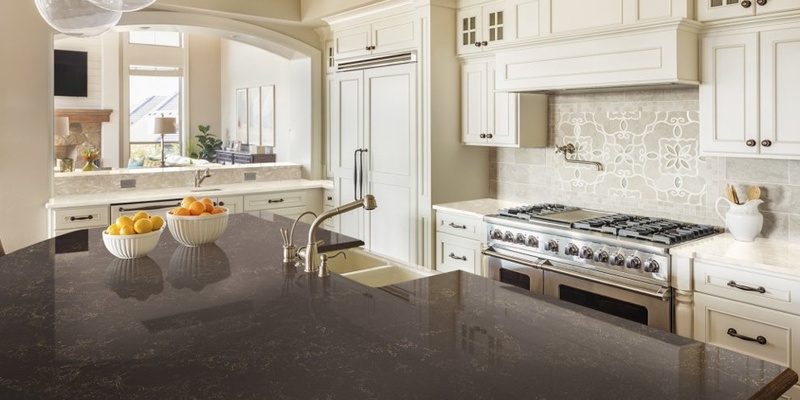 Your quartz countertops won't chip, crack, or stain... can't say the same for granite. Non-porous quartz countertops aren't susceptible to the grime and bacteria build-up that is typical of other natural stone surfaces. They never need sealant or special cleaning products. 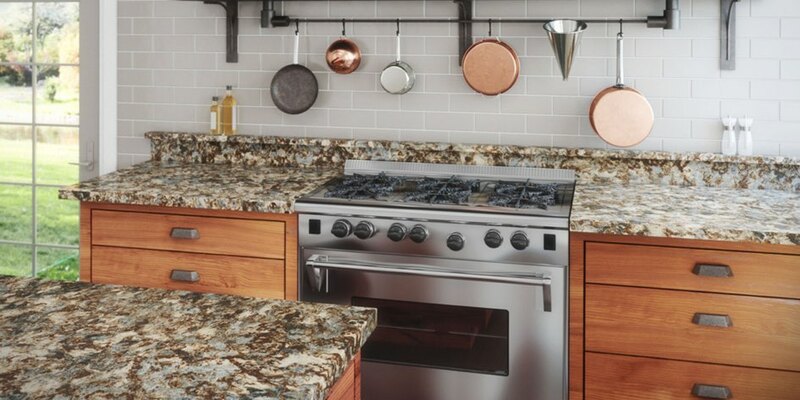 Because they are such a reliable countertop product, our quartz surfaces come equipped with 10-, 25- and even lifetime-warranties, depending on the manufacturer you choose. 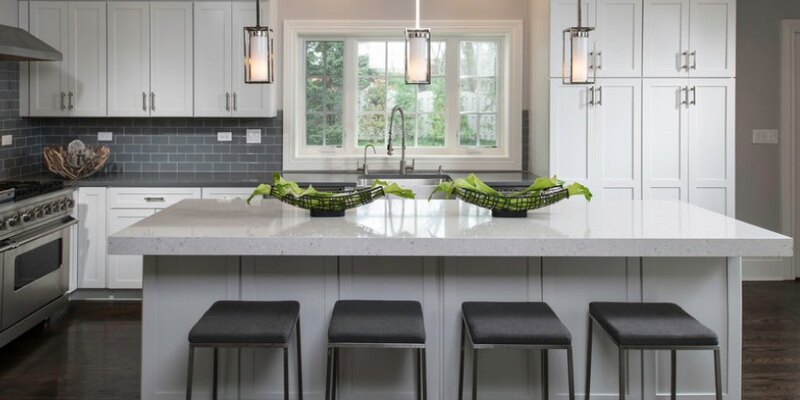 Quartz countertops are approved by the GREENGUARD Environmental Institute because of their no-VOC composition, which complies with GREENGUARD's strict indoor air quality standards.